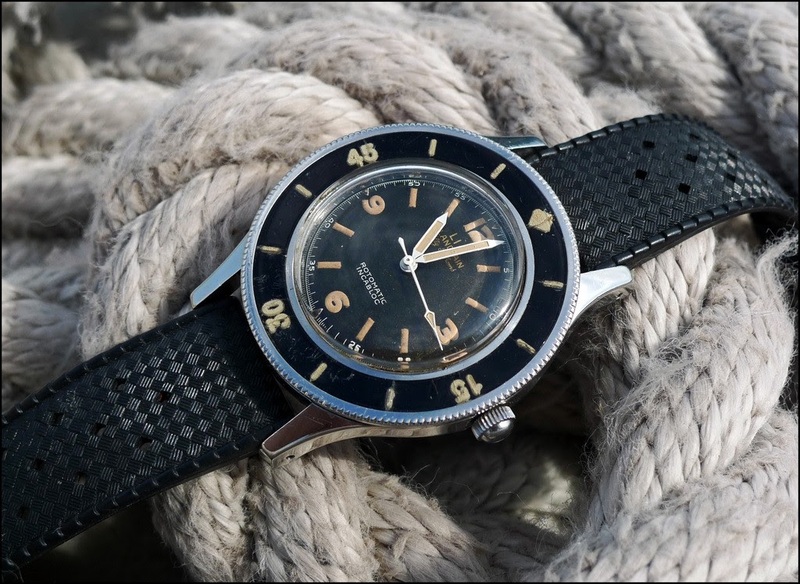 Blancpain - Regrets: Vintage Lip Blancpain Fifty Fathoms Rotomatic Incabloc 3 / 6 / 9 / 12. Regrets: Vintage Lip Blancpain Fifty Fathoms Rotomatic Incabloc 3 / 6 / 9 / 12. I should have never let this Lip Blancpain Fifty Fathoms go. This is one of the few Vintage Fifty Fathoms I miss, and I had it! Now, to find another one like this is a very tough mission. Once again, when you are lucky to own a vintage Fifty Fathoms, think twice before letting it go. It might not be possible to get another one. ... not easy pieces to find and few owners willing to sell theirs. Let’s hope for a kind help from Lady Luck!! Un abrazo mi amigo Nicolas! !